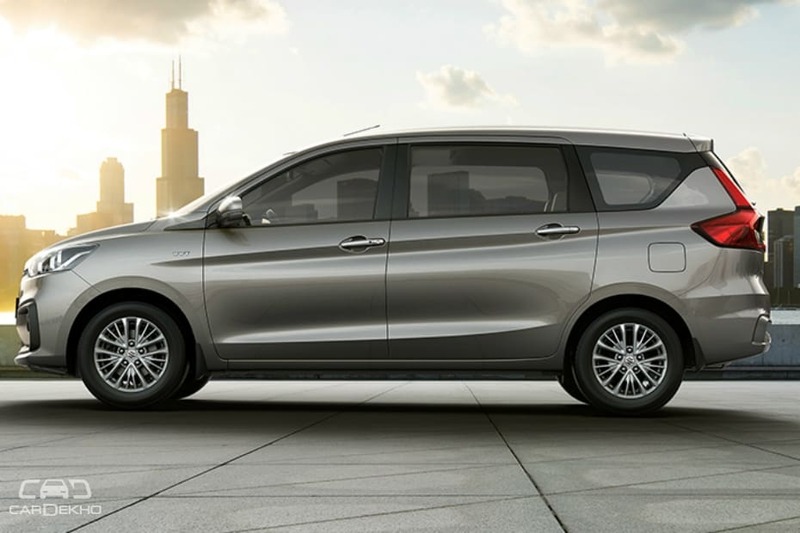 The new 2018 Maruti Suzuki Ertiga will be launched in India on 21 November. First launched in 2012, this will be the second generation of the MPV. With its launch around the corner, here's everything you can expect from the upcoming people mover from Maruti Suzuki. Styling: We already know what the Ertiga looks like, as the new generation model is already on sale in Indonesia. It looks a lot sleeker than the outgoing model and the headlamps are uncannily similar to those of the Toyota Innova Crysta. Overall, the new Ertiga is more pleasing on the eye than the outgoing model. Engine: The new Ertiga will come with the new 1.5-litre petrol engine (105PS/138Nm) that made its debut with the Ciaz facelift. It gets Suzuki’s mild-hybrid tech that is said to bump up fuel efficiency. The diesel option, meanwhile, will be the Fiat-sourced 1.3-litre diesel engine that will be tuned to produce 89PS of max power and 200Nm of peak torque. Both engines will get a five-speed manual gearbox. The petrol might also get a four-speed AT, just like the Ciaz. Platform/Dimensions: The 2018 Ertiga is based on Suzuki’s Heartect platform that also underpins the Baleno, Swift and Ignis. It will be 99mm longer, 40mm wider and 5mm taller than the outgoing car. Whether that translates to more space inside the cabin remains to be seen. The wheelbase, though, remains the same at 2,740mm. Features: The current Ertiga gets driver airbag as a standard feature across the lineup with the base variant offering passenger airbag and ABS as optional. However, the new Ertiga is expected to get more equipment as standard. Expect features like rear parking sensors, ABS with EBD, ISOFIX mounts and dual airbags to be offered as standard across the range. The current generation Ertiga gets many basic creature comforts like steering-mounted audio controls, height-adjustable driver’s seat, touchscreen infotainment system and a reverse parking camera. Expect the new Ertiga to get some new features like ventilated cup holders (present on the Indonesia-spec model), projector headlamps and LED tail lamps. It will also get a new flat-bottom steering wheel, just like the new Swift. New interior design: Like the new Swift and Dzire, the new Ertiga also gets a completely new interior design. It is, however, not the same as the Swift or Dzire, like in the previous generation. The new Ertiga’s dashboard design is significantly different from that of the new-gen Swift or Dzire. Dealership: While it was earlier speculated that the new 2018 Ertiga will be sold through Maruti Suzuki’s premium Nexa dealerships, we had later confirmed that it will be retailed through the company’s regular Arena dealerships. Price: The 2018 Ertiga might command a certain premium over the outgoing model. We expect this to be in the range of Rs 25,000 to Rs 30,000. The current Ertiga is priced from Rs 6.34 lakh to Rs 10.69 lakh (ex-showroom New Delhi). The 2018 Ertiga will compete against the Honda BR-V and the Renault Lodgy in the Indian market. Its top-spec variants will also clash with the base-spec Mahindra Marazzo.